In our society, children are involved in youth sports at a very young age and parents are typically the reason behind this. Sports greatly impact the childhoods of many and are essential pieces to the growth of any child. Sports are quite frequently integrated into the schedules of many children. In our society, children are involved in youth sports at a very young age and parents are typically the reason behind this. Sports greatly impact the childhoods of many and are essential pieces to the growth of any child. 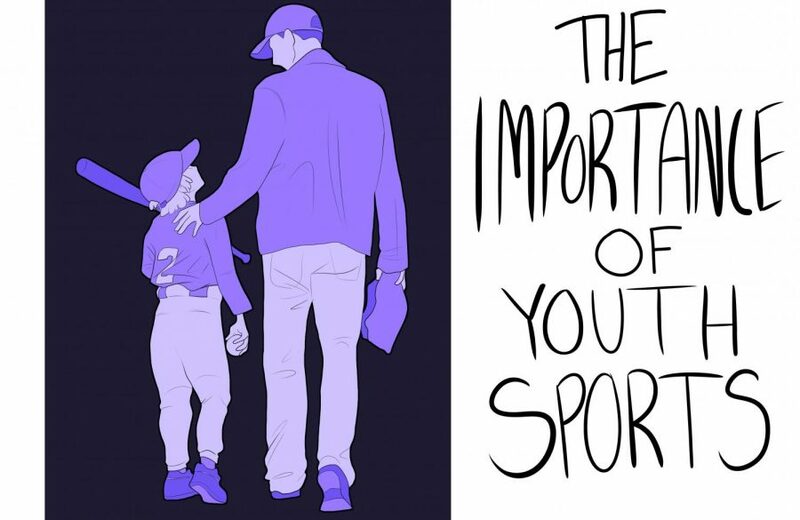 Parents should be encouraging their children to participate in youth sports. 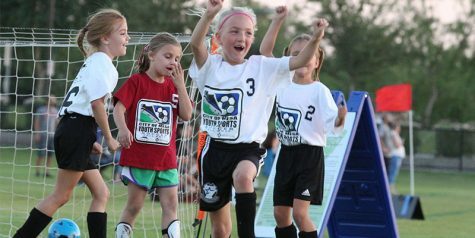 A young girl celebrates with her three teammates after scoring a goal. Sports have granted children the opportunity to discover a potential joy of theirs. Sports bring a sense of joy that is unmatched. According to the Changing The Game Project, nine out of 10 athletes surveyed that their reason behind playing sports is that they are fun and bring them enjoyment. The happiest days in my life have definitely been on the soccer field or in the basketball gym. Underneath the enjoyment, sports prepare children for their future in life. Sports have the ability to teach life skills that parents simply can’t do on their own. Through the rules and regulations, children learn how to play fairly and respect others. Children are forced to have self-discipline by managing and prioritizing their time. They have to learn to make sacrifices early on that will ultimately continue to get thrown at them as they prepare for a future in the workplace. A team of children, both boys and girls, effortlessly smile while playing basketball together. Children are clear representations of the pure joy sports have the ability to bring to life. Children are given the opportunity at an active lifestyle and establish healthy habits, setting the tone for the following years. Through the culture of the team, children build friendships and learn the importance of teamwork that is undoubtedly beneficial to any future or career. Lastly, the childhood memories created during the course of youth sports make it worth it. From my personal experiences of being involved with sports since the age of four, I will never stop reminiscing about scoring my first goal and growing up on a team with some of my best friends. Those memories will, without a doubt, last a lifetime. With the benefits of youth sports portrayed so evidently, it is indisputable that all children should be participating. However, the issue is that most children are not capable of signing themselves up on their own. Therefore, they need their parent’s support. Essentially, children value their parent’s opinions. A father conveys his supportive and impressed nature by his affection of rubbing his son on the head. After a game, children look to their parents to praise them and recognize their participation and success in sports. 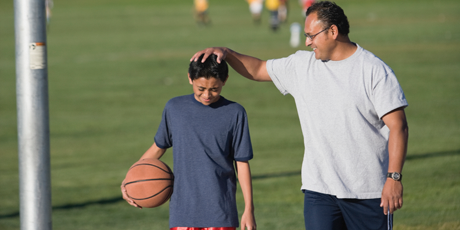 Parents are the role models that drive their child’s attendance and engagements in sports. According to Sport Psychology, the children that most enjoyed sports were the children with parents that showed engagement and interest. In most instances, a parent’s engagement will spark an interest in their child. Children constantly look to their parents to replicate the way life is to be lived. Because children view so highly of their parents, a parent’s encouragement is vital to a child’s participation in youth sports. However, the involvement of parents paves the way for the idea that winning is emphasized too much in youth sports. Children are solely focused on scoring the most goals or receiving the most trophies rather than concentrating on their growth and development. The fact of the matter is that children need to understand that they will win some and they will lose some. Losing is a part of the game. Losing is part of life. Sports are definitely there to assist the development in children, however, life itself is a competitive place. If children are not exposed to a challenge or competition early on, they are going to struggle in their future in a world that consists of everyday challenges. Ultimately, nothing in this world is easily earned. The value of youth sports goes beyond the outcomes of one or two games. The life skills developed through sports are what truly matters.